Post your recipes in this thread. You are welcome to start a thread to discuss a recipe. If you want it to be easily found, post it here as well. Please limit posts in this thread to recipes only, and discuss the recipes in their own threads. This recipe was given to me by a friend. A tablespoon of this sauce has about 3 g of carbs compared to the 9 to 15 g you find in commercial sauces. 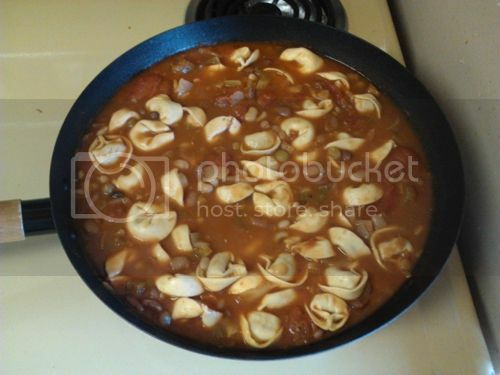 Combine all ingredients in a sauce pan and bring to a boil; reduce heat and simmer for 5 -10 minutes, stirring occasionally; remove from heat and let stand. I usually double the batch and keep some in a pint canning jar with lid in the fridge - it will keep for a couple of months, but it rarely lasts that long at my house. I use the sauce to make BBQ Beef or Venison. I take a 3 lb. beef or venison roast, tenderize it with a fork, season with salt and pepper, coat with olive oil, place in a cast iron pot with lid, and cook in the oven at 250oF for 4 to 5 hours, until the internal temperature reaches 195oF. Use two forks to shred the meat, then mix the sauce in to a good consistency - meat well covered, but not runny. I haven't tried this recipe with pork, but others have reported to me that it is very good for pulled pork. I have to throw this recipe in the mix. It's my son's favorite way to fix rice. All measurements except the rice and water are just guidelines. In a sauce pan (or billy) heat the oil until it starts to swirl. Toss in the rice. Stir constantly until the rice is coated with the oil, hot throughout, and begins to toast, or becomes transparent. Toss in the cold water and stand back! It's going to sputter. The cold water hits the hot rice and cracks the grains. This tenderizes the grains, and lets them absorb more water. Bring the mixture to a boil, stirring to avoid sticking to the bottom of the pan. Cover tightly and move the pan to low heat where the temperature will stay just below a low simmer. Let it sit there for 30-40 minutes to steam. Remove from the heat, remove the lid, fluff the rice with a fork and replace the cover until ready to eat. Salt, butter and pepper to taste. One of my favorite snacks, or side dishes. I learned this recipe with dill and pepper only, but added the garlic to suite my taste buds. Cook the pasta per package directions until al dente. Rinse under cold water to stop the cooking and cool the pasta. Place in a mixing bowl and add the mayonaise a bit at a time. Toss to coat. Add more mayo until it's just slightly wetter than you think is enough, because the pasta will absorb some liquid after sitting. Don't be afraid to go over the 1 cup suggestion, either. Add the dill weed, and garlic and mix throughly without breaking up the pasta. Add the pepper a pinch at a time until you get the taste you want. Add a good pinch of salt, but don't over do it. Let your guests salt and pepper more to suit their own tastes. Most all of my recipes are going to be "to taste", because that's how I cook. Recipe quantities are a guide, and more or less of something is a matter of personal taste. A recipe that calls for "3 cloves of garlic" usually gets 5, or 6 in our household. This is a favourite of mine when out in chilly weather. I normally cook this up in a small coffee can or in a 2L camping pot on a low fire. At home: place first four ingredients in a zip lock bag and put the frozen bacon in a separate bag inside the first bag. At the camp site, boil 3 cups water using your preferred method. Cube the bacon and add it to the water and bring back to a boil. Add the remaining ingredients and return to boil again. Simmer the soup for 30-60 minutes adding water as necessary. Stir occasionally. 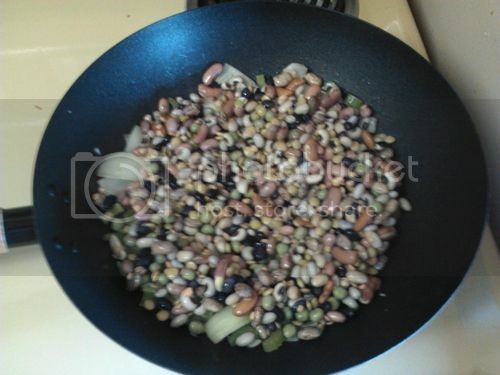 it is ready when the peas are soft and it reaches the consistency of semi-runny oatmeal. Mix the flour and seasoning in one bowl and the egg and milk in another. Rinse the fillets and coat with the flour/seasoning, dip in the egg/milk, and coat with the potato flakes. Put a half-inch of oil in a cast iron fry pan and get it hot. Fry the fillets. Eat and repeat. Mix this up into a paste. Add whatever herbs you have on hand, don't be stingy with em. Peel up the skin of the bird and massage this paste between the skin and the meat, making sure you coat the meat nicely. Really try and get that stuff into the nooks and crannies. Any leftover herbs and oil can be smeared on the outside of the chicken. Prepare a large dutch oven (12" is the smallest you can realistically use) on a bed of coals, and add a few Tbsp of oil. When it's nice and hot, plop that bird skin-side-down into the DO and let it sear for 10-15 min. (Don't move it!!) After it's good and crispy, you can carefully flip it over. NOTE: You want to make sure you don't leave skin on the bottom of the DO, so use a spatula or 2, and take your time! Flip the bird and place it skin-side-up on a roasting rack or a few potatoes or chunked root veggies (radishes, carrots, potatoes, rutabagas, whatever......go crazy!). You want it elevated and off the bottom of the DO (but not touching the cover) so it gets a nice crispy skin. Place the cover on the DO and cover it completely with hot coals. You'll want a DO temp of around 450o. Check the bird after 45 minutes to see if how she's coming along. You'll probably want to add some new coals at this point, for the final heating. One more thing. When the bird is done and resting (it will reabsorb the juices while it rests) and the veggies are plated, you might as well make some gravy to round out the meal. Mix up a couple teaspoons of corn starch and add it to a 1/2 cup or so of cold water and whisk it around. Slowly add this to the simmering juices in the Dutch Oven, stirring constantly. Make sure to scrape all of the good tasty bits off the bottom of the DO. When the gravy is nice and rich, pour it off into a gravy boat. Dutch Oven cooking requires a bit of observation, coal-maintenance, and trial and error but it pays off. Don't be afraid to experiment, it's the essence of cooking! Start by chopping your "trinity" of onions, bell pepper and celery, then put them together in a bowl and set them aside, along with the minced garlic. Then in a big pot, brown the chicken and sausage well, and set aside. In the same pot, add flour and oil and over medium-high heat, keep stirring until the flour turns chocolate brown. This is making a roux. You have to stir constantly or it will burn and you'll need to start over. Any black flecks of burnt flour will ruin the flavor. After the veggies have wilted some, then you can add 2 cups of water, and then the chicken and sausage, and the bay leaf. Also add about 2 level teaspoons of the Tony Chachere's creole seasoning, and add about 1/4 teaspoon of black pepper. If you need more water, add just enough to barely cover the contents of the pot. You want them all to be wet, but not so much water as to thin out the soup too much. Let this simmer on medium-low heat for an hour. After an hour, taste it and add Tony's seasoning until the heat level is to your liking, then add salt until the salt level is to your liking. Before serving, skim off the excess oil from the surface. Oxo makes a great oil separator for the purpose that is a lot easier than trying to scoop it all up with a spoon. Remove and discard the bay leaf. This same recipe can be modified by eliminating the sausage, and using a lot less water. The chicken breasts are increased from 2 to 4. Brown them as before and set aside. Make the roux in a deep skillet instead of a pot. When the roux is ready, add the veggies and then just enough water to keep from burning, then simmer covered over low heat for an hour until the chicken is fully cooked and tender. Taste and season as before. Serve this over rice and you'll have a nice chicken fricassee.! It sounds great, I'd love to try it, can you or anybody tell me of a substitute for the two ingredients that us northern folks can't usually find up here, Tony Chacheres Creole Seasonings, and Gumbo File powder. And while we can get Zatarans rice mixes, we can't find their other seasonings and breading mixes. In a large pan, heat olive oil over medium. 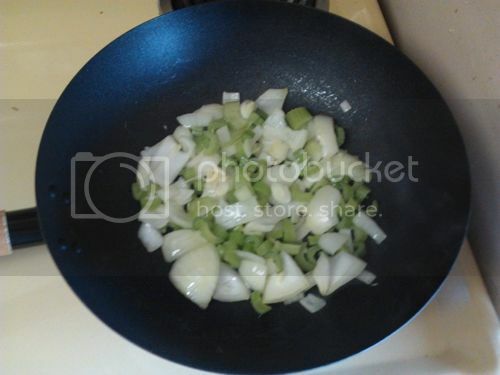 Add onion, Jalapeno and garlic, and cook 6-8 minutes, until beginnning to brown. Stir in cumin and chili powder. Add black beans, diced tomatoes, chicken broth, salt and cilantro. Bring to a boil, and allow to cook for 2 minutes. Transfer 1 c to a blender, and process until smooth(if cooking in camp smash the beans with the back of a spoon in the pot). Stir back into soup. Remove from heat, and serve topped with crema, jack cheese & warm corn tortillas on the side. A good handful of frozen southern style hash brown potatoes, defrosted. A hefty squirt of Ranch dressing. As much shreded cheddar cheese as you like. If you have some sour cream throw a bit in. Mix all ingredients then drugstore wrap in foil two times,put in campfire,20 minutes or so,until tender. I've been baking sourdough bread every week for the last 5 years and I have tried as many different starters. In the last 2 months I grew a new starter it is the best and easiest and most economical to maintain out of any to date. It takes 10 days to mature until you can bake your first loaf. You will need a kitchen scale and a gallon of spring water and all purpose flour along with your mason jar. Feed and stir in the morning around dinner time weigh out 4 oz of starter into a clean container with a lid feed this with 2oz flour and 1 oz water stir it up and put the lid on loosely Tomorrow You bake! It will take about 4-6 hrs to raise when it is about 1" above the pan preheat the oven to 400? bake on the center rack for 25-30 min. On Day 10: Add 1 cup sugar, 1 cup flour and 1 cup milk. Remove 3 cups of mixture and give 1 cup each to three friends. Save remaining starter for yourself. Set aside 1 cu starter for your bread recipe. Retain the other 2 cu of starter. You can place this in the refrigerator in a covered container for later use. When you decide to bake again, remove another 1 cu of starter for the standard recipe. To the remaining cup, add 1/2 cu flour, 1/2 cu sugar and 1/2 cu milk. Stir this daily for 3-4 days. Add another 1/2 cu each of flour, sugar and milk. Stir for another 3-4 days. In mixing bowl, combine all ingredients. Bake in 2 well greased and floured or sugared 9"x5" bread pans. Bake in 350 degree oven for 40 to 45 minutes, or until a toothpick inserted in the loaf comes out clean. You can also substitute other flavors of pudding for a change of pace. This Sourdough recipe is a Texas original that I got from a ranch cook out around Bandera years ago and makes some tasty bread. Mix together to form stiff dough and knead with hands until smooth and elastic. Place in a bowl oil the top and cover with plastic wrap. This can sit overnight in a warm place. Next day punch down fashion two loaves and place in greased/floured bread pans. Bake at 400/425 degrees for about 35 minutes. Every time you want to make bread take the glass jar from the fridge and Feed starter again: 1 cup warm water, 1/3 cup sugar, 3 Tbsp potato flakes. Mix the above ingredients and store in zip lock bag. In camp, get four cups of water boiling, add the pre-packaged dry soup mix. Bring it back to a boil, move it off the direct heat and simmer for a minute or two while stiring. 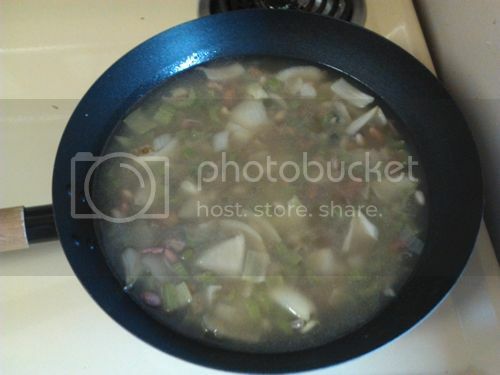 * For a heartyier soup, boil two medium potatoes in the four cups of water (slightly salted) either sliced or diced until fork tender, then add the dried soup mix as per directions above. Butter the outside of the potato, wrap in tin foil , and bake in the hot coals until done. Remove from heat. Slice open the potato, but dont cut all the way through. Open it up slightly, place a pat of butter inside. Break an egg into the potato and return it to the coals , egg side up. Bake until the egg is set. Season with salt and pepper. Say what? But the more I read this, the better it sounds. Any spiced meat should work. SPAM mixture lengthwise down center of phyllo stack, leaving a 1/2? (1/4? deep) diagonal slits across top of pastry using a sharp knife. Bake 20 minutes or until golden. Serve with soy sauce. Thanks OP, My first thought was that in my little world Strudel has always been viewed as a sweet desert, while the above sounds interesting, it would take some getting used to on my part. But on second thought it doesn't sound too much different than the roll ups that I've made for party snacks using veggies and spicy Italian deli meats wrapped in rolled puff pastry dough, baked and then sliced into rounds. Aint nothing better than a fresh cooked Tortilla fresh off the comal, with a little butter and a sprinkle of salt. I prefer maize for everything cept for burritos. Rog if you want to make your own this recipe makes a good one. 1. Put the flour, masa harina, sugar, salt, and baking powder in your food processor fitted with the proper blade for working dough. Pulse a few times to distribute the ingredients. Add the oil, turn the processor on, and with it running, add the water through the feed tube as fast as the flour will absorb it. It should form a ball - if it doesn't, add tiny bit more water to get it to form that cohesive ball. 3. Preheat a cast iron frying pan, griddle, or other heavy pan on the stovetop. 4. Flour your work surface and turn out the dough. Divide it into 8 even pieces. Form each piece into a ball, then flatten the first ball into a disk. Roll it with a rolling pin to circle about 6-8 inches in diameter. 5. Place the circle in the preheated pan and cook until you see large bubbles forming and the bottom has browned spots - about a minute. Flip it over and cook another 30 seconds. Add all ingredients except the ground beef and mix thoroughly. Let sit for about 5 minutes to allow the oats to absorb some of the goodness. Add ground beef and mix lightly, but thoroughly...best if done by hand! Press into a loaf pan (we have one of those stoneware kind) and level it off well. Ours is 8" x 4" and it gets pretty close to the top. IF you have any leftovers, they make the best meatloaf sandwich I've ever had! But we usually eat it all, so if you want sandwiches the next day, double the recipe! In a small bowl, pour boiling water over raisins and allow them to sit until they've plumped up. Place all ingredients in a blender and blend on high until the raisins are thoroughly pureed. Bring 2 cups water to just a boil (when it starts to bubble git it off the heat pronto) pour over the tea bags and steep for 5 min squeeze them out & discard. In a small sauce pan add the Sugar & 1 cup water & Baking soda bring to a boil & simmer 5 min. Sounds great, one question, are you mixing one cup of the tea with the sugar and baking soda, or an additional third cup of water ? In large bowl, mix all-purpose flour, sugar, baking soda, baking powder & salt. Cut in butter until mix forms fine crumbs. Add yogurt, stir gently. If too dry stir in milk slowly, about a Tablespoon at a time, until dough just holds together & is not 'sticky'. Turn dough onto floured board & knead gently about 5 times to make a ball. Set on lightly greased baking sheet. Gently pat ball into about a 7 inch circle and with floured knife cut a large X in top of loaf. Put a pat of butter into this X cut. Bake at 375 degree oven until browned, about 40 minutes. 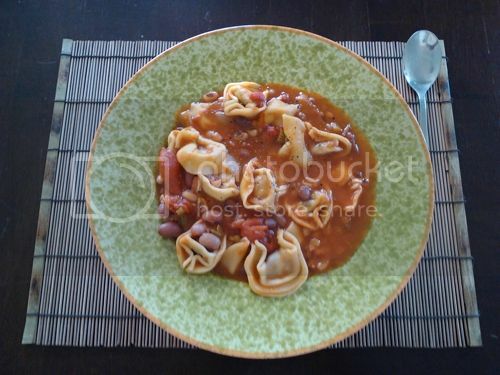 Real easy and good with a hearty home-made soup. Thanks, that's a must try. This is roughly how I make it. Mix 4 eggs with about 1/2 cup sugar. Whisk for a bit. Stir in some flour until the batter is the consistency of a thick sauce. Add about 1/2 cup of melted butter. Continue whisking/stirring until everything is nice and lump free. Put a little butter in a hot frying pan. add some batter and swirl it around so it covers the bottom of the frying pan ( you may want to experiment some here, to get the thickness you like. Should be something like a thin tortilla). fry until golden on other side. Serve. These are good with sugar, jam (especially blueberry) or bacon. In a Canuck's kitchen those are called Crepes, our Pancakes are made with well beaten eggs, a little melted butter, baking soda, salt, milk, and enough sifted flour to make a semi-thick 'batter', all the ingredients are added to a bowl and gently folded only enough to insure that everything is wet, leaving the lumps intact. The batter is left to meld for about ten or fifteen minutes while the cast iron grill heats up to medium, just before spooning the batter onto the grill in three inch rounds, crushed up crispy bacon bits and the bacon drippings are folded into the batter, when they are done they will be a light golden color and just under a half inch thick, the only way a self respecting frenchman would serve them is either slathered with butter and sprinkled with sugar, or with dark amber maple syrup. On the trail, a couple of eggs, pinch of salt, Bisquick baking mix, and the bacon and drippings are mixed with powdered milk and water, and served as above. In a pinch, Bisquick powdered pancake mix, add water, give it a shake and bake on a hot rock. But on a serious note, have you tried real pancakes, you know, good old American flap jacks ? Your recipe is actually within a hairs breath of being a Crepe recipe, doing it that way would result in a very thin, very dense, and very sweet pastry round. The reason we use baking powder and sift the flour is to insure that our pancakes turn out light and fluffy and have some levening rise, and the reason that we only stir the batter enough to wet the mix instead of beating it into a paste is because over working the flour breaks down the gluten and makes the pancakes rubbery and dense, the lumps are broken down by the cooking process. Here we like thick, light, and fluffy pancakes, and I like mine best when they are grilled so the the top and bottom have a light crusty texture. I have actually tried Bisquick! Ok, mustn't clutter up this thread with more chatter... On with the recipies! When Tortellini is cooked, plate it up and enjoy...I didn't have any, but this recipe tastes really great if you add some freshly grated Parmesan on top just before serving. One batch of this cost $4.95 ( without the Tortellini ) and $9.20 with the Tortellini and made 5 very healthy servings, 2 of which were eaten immediately...Mmmm mmm good, and 3 were popped in the freezer for later. I would hurt a bowl or three of that but I cant get tortellini around here. I started off with the intention of just a bean soup but the Tortellini kept calling out to me, so I did what any self respecting ( starving cook ) would do, and threw them in the wok. I suppose any pasta could be added to help with the heartiness of it. I'm pretty sure we could do some major damage to a pot of that....MAN that looks great!! Multiply above portion by number of people. Soak the clams in salted water for a half hour. Put all into a deep pan, fill about one quarter deep with fresh water and bring to boil covered. Cook half hour to forty minutes or till potatoes are cooked. Serve with small bowls of melted butter and cooking liquid. The famous argument is always do the clams go on top of the vegetables and meats to steam or on the bottom to boil. I've had both, I don't see the difference; but two old Yankees might fight to the death over the right way . The variation of this is the clam bake where the food is placed over red hot rocks that are covered in a thick layer of rock weed (seaweed); the food is also covered in weed, and the whole thing is covered in a canvas tarp and allowed to smoke and steam until cooked. The finished product is strongly flavored with smoked seaweed. I finely got around to making your sweet tea yesterday, being an iced tea lover, I thought it was great, though I took the liberty of adding a lemon slice to the glass. The next time I make it i'm going to try adding a sliced up lemon to the simple sugar mixture while it's simmering and see what happens. I have to admit that I was surprised that the tea wasn't as week as I expected it to be when topped off in the gallon jug, I think it sure beats the processed instant iced tea mixes, thanks for the recipe. Nothing finer than a good old fashioned down east clam bake, hard to beat those that I've had at that farm in Rehobeth, the best I ever had was at a small roadside place in Bar Harbor Maine, they put the steamers, corn, lobster, sausage, and potatoes in a mesh bag, tied off the end, and dumped it in a concrete cauldron of boiling sea water and cooked it for just under twenty minutes, everything was done just to perfection, even the clam necks were tender, and the salt in the sea water seasoned everything just right. Great for Biscuits & Country Gravy for breakfast..
Preheat oven to 375 degrees. Mix dry ingredients and beer. Pour into a greased loaf pan Pour the melted butter over mixture. Bake 1 hour, remove from pan and cool for at least 15 minutes. Some tips: This recipe makes a very hearty bread with a crunchy, buttery crust. If you prefer a softer crust (like a traditional bread) mix the butter into the batter instead of pouring it over the top.Sifting flour for bread recipes is a must-do. Most people just scoop the 1 cup measure in the flour canister and level it off. That compacts the flour and will turn your bread into a "hard biscuit" as some have described. That's because they aren't sifting their flour! If you do not have a sifter, use a spoon to spoon the flour into the 1 cup measure. Try it once the "correct" way and you will see an amazing difference in the end product. You can also use Non alcoholic beverages & even stale 7-up or sprite. I have done it & it worked well. Now I suppose a "Country Gravy recipe should show up here soon, eh? I hope you enjoy this, & have fun with it we do! Edit note: I have used this same recipe at home for years, but I copied & pasted one here that is just like it to save time in typing. I also added the yeast tip which I have not tried. More from Southern New England kitchens. * 2- pounds of ground chuck. * 5- large green bell peppers. * 4- large yellow or white onions. * 2- links of sweet Italian sausage. * 1- 28oz. can of diced tomatoes. * 1- small can of tomato paste. * 1- tbsp. of minced garlic. * 1- tbsp. of Italian seasoning. * 1- tsp. red pepper flakes. * 2- tbsp. wostershire sauce. * Cut the bell peppers in half lengthways, then slice them crossways to 1/4" slices. * Peel the onions and slice them the same as the peppers. * In a large stock pot add a couple of tbsp. of butter and turn the stove to mediom heat to melt the butter, then add the sliced peppers and onions in layers, they should about fill the pot, add a pinch of salt and pepper and start to sweat the veggies. 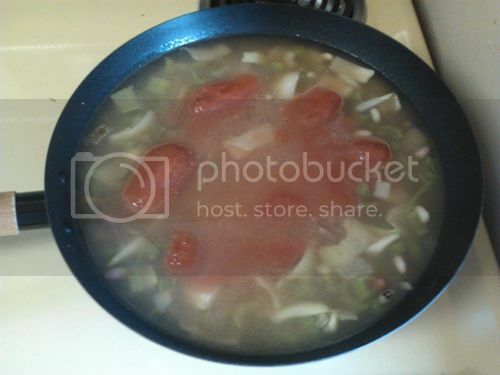 * Once they start to sweat and shed some of their liquid, add the can of diced tomatoes and tomato paste, the Italian seasonings, and the red pepper flakes, and continue to cook down the peppers and onions. sautee the ground chuck seasoned with salt and pepper until cooked through and broken up into small bits (riced), set aside. * When the peppers and onions are starting to get tender add the meat and the worcestershire sauce and the sliced sausage, cover, turn down the heat to a slow simmer and finish cooking until the peppers and onions are cooked but a little eldente. You will end up with a dish that resembles a loose sloppy joe's type mixture. Now, slice the sub rolls lengthways across the top (not the sides) and using a slotted spoon, ladel the mix into the sub rolls, serve with potato chips, cold beer, and plenty of paper towels. Have salt, pepper, and hot sauce available for those who need to adjust for individual tastes. You really have to try this to appreciate this treat, it has become a staple meal and pure comfort food for folks along the southern MA./northern RI. border for most of the last century, and with good cause. The above recipe will make 24 subs, I freeze the left overs when I have some, but that rarwly happens, I usually make this on weekends when the kids gather to vist, I usually buy four packages of sub rolls (24), and there's not much left when they leave. Some tasty soundin recipes here folks, thanks for all the contributions. Dean Beldin was an old catfisherman that I used to work with and I helped him run his throw lines when he needed the help. He ate big hunks of cold flathead and channel cat out of his old battered and bent black lunchbox EVERY day for lunch break. I asked him if he ever got tired of catfish for lunch every day. Being a man of few words, he just reached down into his lunchbox and handed me a wax paper wrapped piece that his wife Dorothy fried up that morning before he left for work. It was then that I learned why he never tired of his everyday fare. This stuff is THE BEST! Remove fry basket from fryer and drain for a moment, then dump out onto an issue of the daily newspaper with an opened brown paper grocery bag on top. Throw in some french fries, cold beer, and a little malt vinagar and I'll be there Wolfy. 1. Mix cornmeal and salt. 2. Bring water to a rapid boil; remove from heat. 3. Add boiling waterto the cornmeal while stirring constantly. 5. Heat and grease a fry pan and add batter in good sized spoonfulls. Flatten the batter to a thickness of approximately 1/4 inch. Fry until golden brown, turn, and brown on the other side. Serve hot with butter, maple syrup, applesauce or other fruit jellies etc. I'm not very experienced at baking. But that recipe seems simple and easy to try. But, doesn't it need an egg? Now I know I have to try this.